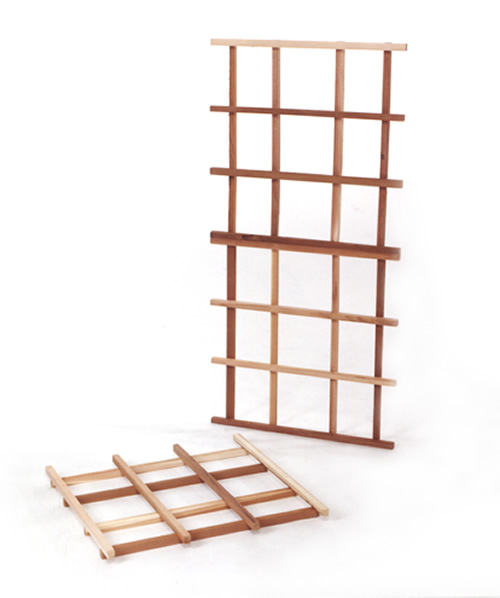 A practical application - Join the pre-built squares together to create any size, shape, or length of trellis you like. 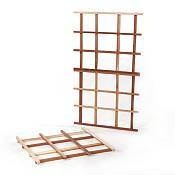 Each piece features 4 horizontal placements overlaid with 4 vertical, making it a sure step for any climbing plant. Just add more squares to create a longer or wider structure, or create your own unique design. Western Red Cedar in its natural unfinished state has a richly textured tactile grain combined with a glowing palette of warm, mellow tones ranging from light amber to deep honey brown. No man-made material can duplicate the depth of cedar's natural luster. Western Red Cedar remains subtly aromatic, and the characteristic fragrance of Red Cedar just adds another dimension to its universal appeal. Product is shipped unassembled only.